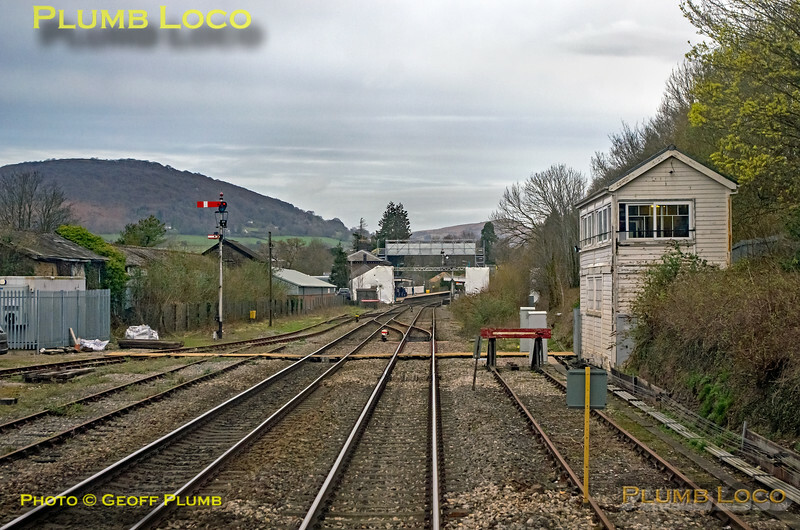 Abergavenny is another location still with semaphore signalling and signal box, south of the station. This is the view from the cab of 47851 as the BLS "Marching Crompton II" tour heads south towards Maindee Junctions. 08:22¼, Saturday 23rd March 2019. Digital Image No. IGMP45233.